Our Leeds store can be found inside the very busy Crossgates Shopping Centre. This store was picked for it's excellent and highly accessible location. 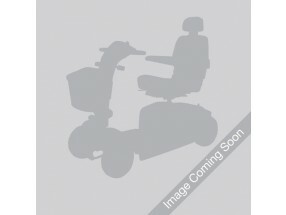 If you are looking for mobility scooters in Leeds, you will find a huge selection of both new and pre-owned mobility scooters for sale. You'll be spoilt for choice! We also have a range of powered wheelchairs, rise and recline chairs, beds and even a stairlift demonstration. A range of walking and everyday living aids will also be available to view and purchase throughout the store. When visiting Eden Mobility Leeds, you'll receive a warm welcome from our team who will be there to answer any questions or queries you may have. Can't make it to the store? Not to worry, we can bring the showroom to you so that you can try out our products in the comfort of your own home. We have 4 used mobility scooters that are available to view at our Leeds store. If you live in Leeds or the surrounding area, or you are interested in mobility scooters in Leeds, Eden Mobility may be able to help. We have many years of experience in the mobility industry so you can rest assured that you are in safe hands. Come and see our mobility scooter range for yourself today. If you are looking for a powerchair in Leeds - we can help. We have a variety of powerchairs available at our Leeds store. Come and visit us today to see them for yourself. Are you looking for a rise and recline chair in Leeds? We have a high quality selection of chairs available that will give you that extra comfort when in your living room. Come and see our full range for yourself today at the Crossgates Shopping Centre. A stairlift is the ultimate solution for getting up and down your stairs on an electric powered chair lift. No longer will you have to struggle getting up and down the stairs - our range of straight and curved stairlifts are very affordable. If getting up and down the stairs is becoming a struggle, you may be interested in a straight or curved stairlift - depending on your staircase shape. Come and visit our store at the Crossgates shopping centre in Leeds where you will be able to see our live demonstration stairlift. At Eden Mobility we stock a variety of high quality wheelchairs in Leeds. Come and see our range for yourself today at the Crossgates shopping centre store. Our friendly and helpful staff will be able to provide you with all of the information that you require.